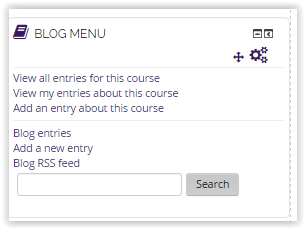 The Blog Menu block allows instructors and students to add blog posts about the course. If the blog is enabled, users can view and add new entries from the Blog Menu block. This block is not associated with any other activity in Moodle. 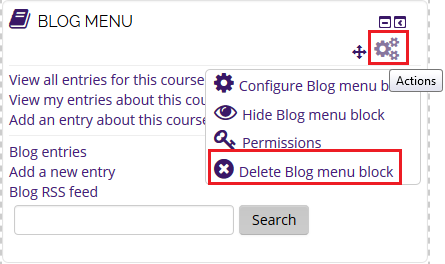 *NOTE: You will need to do these steps if you do not see the Blog Menu block on your Moodle course page. 1. 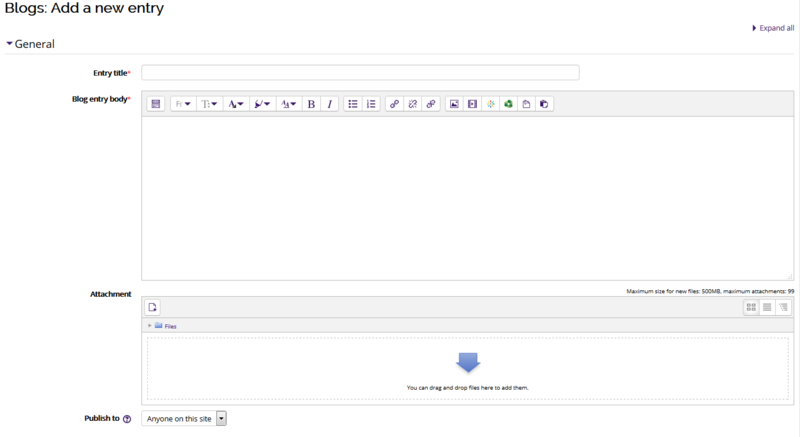 Log into your Moodle course and click Edit to turn editing On. 2. 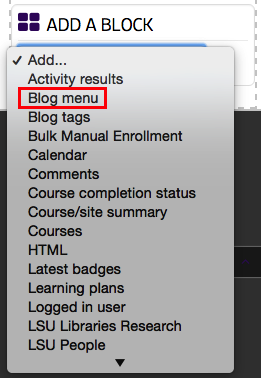 Select Blog menu in the Add a Block drop-down box. 3. Once added to the course, users can Add an entry or View entries. 4. Click on Add an entry about this course to add a new entry. Enter a title and entry body. You can add an attachment and choose the Publish setting to either draft form or give 'Anyone on this site' access. 2. Click the Actions button and select Delete Blog menu block.